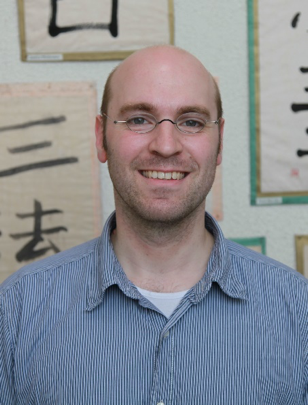 Dr. Daniel Sprick ist wissenschaftlicher Mitarbeiter am Lehrstuhl für Chinesische Rechtskultur an der Universität Köln. When HU Bo posted his tweet in July 2014, he must have immediately felt that he had made a big mistake. Just three hours after he wrote in his intra-workspace social media group about the ongoing riots in China’s far western region of Yarkand County, he took his post down and shortly after surrendered to the police in his hometown of Ürümqi. He was in trouble because he had not only repeated the official news, but he apparently had added some unconfirmed rumors about the intensity and extent of the riots. This had put him outside of the law. Fake news is illegal in China. Or, to be more precise, spreading rumors and especially spreading rumors or “fabricated information” on terrorism is a crime in China. What started out as an attempt to curb libelous vitriol on the internet quickly became a powerful means of the Chinese criminal justice system for controlling social media news and is now a core feature of the Chinese Counterterrorism Law of 2015 (Articles 19, 90) and, since its ninth amendment in 2015, of the Chinese Criminal Law (Article 291b). As early as 2013 the Supreme People’s Court (SPC) had published three “model cases” for the adjudication of spreading false terrorist information, which are meant as a form of non-binding orientation for lower courts. Essentially, these cases are building on a.) the knowledge that the disseminated information was false such as invented bomb threats and b.) that the dissemination of the information caused serious disruption of the social order such as the evacuation of a student’s cafeteria or serious delays at an airport after emergency procedures were enacted. The criminal law until 2015 would warrant a fixed term of imprisonment of up to five years for such conduct, hence the three model cases saw sentences between fifteen months and four years, depending mainly on the seriousness of the disruption of social order and on the underlying motive for disseminating the false information. The four-years-sentenced, e.g., was pronounced for the airport bomb threat, which was aimed at preventing a debt collector from boarding his scheduled flight to the debtor. Since the tightening of the Criminal Law in 2015, disseminating false information became a stand-alone provision whit a varying sentencing standard for false terrorist information (up to five years imprisonment and at least five years if the disruption of the social order had serious consequences) and other false information about sensitive issues like health hazards or natural catastrophes (up to three years and between three and seven years, respectively). Before this amendment, HU Bo eventually found himself sentenced to six months imprisonment. The court argued that his tweet had incited ethnic hatred and discrimination, which was considered his form of severely disrupting the social order, even though his lawyer asserted that his client did not even hint at the ethnicity of the rioters in Yarkand. His sentence was already a mitigated punishment as he was a first time offender, showed real remorse and even followed the social convention of voluntarily surrendering after his crime. Nevertheless, HU Bo had found himself in the midst of China’s People’s War on Terror, which is a criminal justice campaign that is fashioned along the lines of the so-called strike hard campaigns of the Deng Xiaoping era and requires the authorities to exercise their duties of criminal prosecution with utmost swiftness and render the harshest possible judgments, which the court in HU Bo’s case arguably did. Among the many constitutional issues that can be raised within China’s People’s War on Terror, the freedom of speech may not necessarily head the list of possible human rights violations. It nevertheless provides an instructive example for China’s approach to the protection of fundamental rights in times of terrorism. Unlike issues as arbitrary detentions of persons who exhibit a conduct that falls within the broad definition of terrorist or extremist behavior in China or the excessive use of the death penalty for a wide array of terrorist activities, freedom of speech is less directly associated with immediate terrorist threats. And, China’s constitution is guaranteeing the freedom of speech in Article 35 so that security concerns about the extent of this fundamental right might be mitigated by this constitutional provision. However, China has no constitutional court and no efficacious constitutional review mechanism. The de jure almighty National People’s Congress could exercise its right to interpret the constitution, but its de facto wire-puller, the Chinese Communist Party, appears not to be interested in rousing a constitutional review for the time being. HU Bo was therefore not in the position to seek judicial redress from a constitutional violation. Even though his right to the freedom of speech may be impaired, he has no legal recourse for constitutional matters in China. There had been a brief moment of time in which it appeared as if China’s SPC would have produced its very own Marbury vs. Madison. This is at least what a Vice-President of the court in 2001 heralded as the dawn of a new era for constitutional jurisprudence in China, after his chamber had directly applied the constitution in a rather simple tort case of identity theft. It was however reported that internal regulations banned the Chinese judiciary from following this example and prohibited a direct application of the constitution even before this case was officially repealed in 2008.The door was shut on China’s judicialization of its constitution (宪法司法化). Nevertheless, Chinese courts are still using the constitution and are e.g. applying the constitutional right to work in (once again) tort cases that hinge on the question whether persons who have reached the retirement age but still hold down a job can be awarded compensation for the loss of income after they were injured and impaired in a traffic accident. Following the reasoning that the constitution is granting the right to work without any time limits, Chinese courts frequently ordered the insurance companies to pay such compensations. The constitutional right to the freedom of speech is also used in Chinese courts. For example, a court in Hubei decided that a company could not fire one of its employees just because she made public derogatory statements about said company. The judges even declared a corresponding provision in the company’s internal disciplinary regulations as unlawful on the grounds that such a provision would limit the employees’ right to the freedom of speech. But limiting the power of companies in civil cases and limiting the power of the Chinese state in administrative or criminal cases are two different pairs of shoes and courts apparently know their place in China’s authoritarian system. They are not necessarily in the business of judicial checks and balances, even though the 2015 revamped Administrative Procedure Law may be considered a modest impetus for such a development. The Chinese citizenry is however frequently less timid and obedient when it comes to confronting the government and administrative penalties for actions that are closely linked with the freedom of speech are frequently challenged in court. Nevertheless, administrative detention, pronounced by the police, for inciting or staging protest against state organs or the traditional form of remonstration, that is petitioning the administration after enduring injustice by a state organ, if it is exercised on Tiananmen-Square or close to the adjacent government quarters of Zhongnanhai, are generally upheld by Chinese courts. Many courts acknowledge that the constitution guarantees the freedom of speech or even the right to protest or petition (Art. 41), but these fundamental rights are limited by the public order and have to be balanced against the fundamental duty laid down in article 51 of the constitution which stipulates that “citizens of the People’s Republic of China, in exercising their freedoms and rights, may not infringe upon the interests of the State, of society or of the collective, or upon the lawful freedoms and rights of other citizens”. Hence, challenging measures that are enacted in the name of stability and security in China, as is its counterterrorism framework, on constitutional grounds is a futile endeavor. Even in cases that are not directly related to imminent security threats, the Chinese criminal justice system will bow to the overwhelming imperative of contributing to the now apparently perpetuated People’s War on Terror by harsh and swift conviction, just as in the case of HU Bo who spent six months in a prison for an ill conceived tweet to his colleagues. SUGGESTED CITATION Sprick, Daniel: China’s Constitution and the People’s War on Terror, VerfBlog, 2018/5/09, https://verfassungsblog.de/chinas-constitution-and-the-peoples-war-on-terror/, DOI: https://dx.doi.org/10.17176/20180509-140807. for the post on this sspecial one :D.